In a special post-webinar Q&A session, Jaime Lizotte, HR Solutions Manager, and Shanna Wall, Compliance Attorney, answer the top questions from a webinar regarding the recent blocked FLSA rule. Q. Does the FLSA apply to employees of churches? A. There’s no real blanket exemptions for churches or nonprofits. 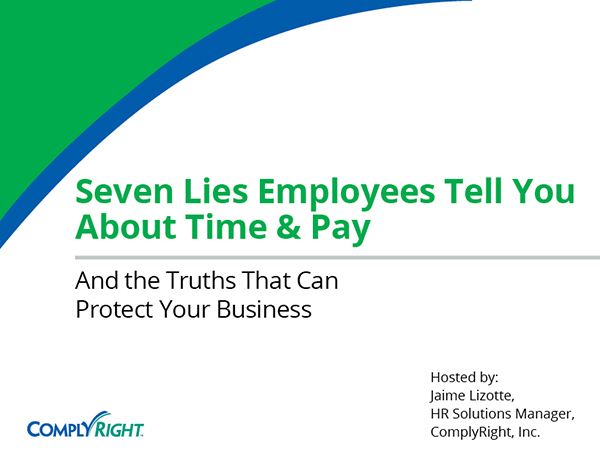 The FLSA applies to most businesses and more important, applies to most employees. There’s two ways that employees can qualify for protection under the FLSA. The first one is for business, or in this case, the church, to fall under the FLSA. For the church to qualify as a business enterprise, it has to have gross profits of $500,000 or more. And for a business enterprise, the church would have to be conducting business such as providing services or selling goods or manufacturing goods. For the church not to be considered a business and therefore not covered under the FLSA, it wouldn’t have to be doing business-type things. You also have to look at if the employee falls under the FLSA. For employees to be covered, they have to be involved in interstate commerce as a substantial part of their job duties. For example, does your employee make out-of-state phone calls? Does your employee send or receive emails or mail to or from out-of-state contacts? Or does your employee travel for work out of state? A business can be covered but so can an individual employee. Q. What if all of my employees work part-time? Does the FLSA apply to them? A. The FLSA will apply to nearly every employee. For example, even if they’re part-time, they will still need to be paid minimum wage for all hours worked. If they’re under eighteen, then you also need to adhere to the applicable child laws. Your state and local laws might have a higher minimum wage or afford your minors greater protection than the FLSA. Always make sure to check your state and local laws too. Perhaps this question is referring to what qualifies them for overtime pay if you’re a part time employee. By being a part-time employee this should mean that your employee really works less than your 40 hours a week. And for those weeks that he or she wouldn’t need to be paid overtime, because under the FLSA, overtime is considered any hours over 40. Let’s say your employee, for whatever reason, does work over 40 that week maybe because of a last-minute rush order or it’s the holiday season and you need all hands on deck. If this were the case then, yes, if he or she does work over 40 that workweek, you would have to pay the overtime. 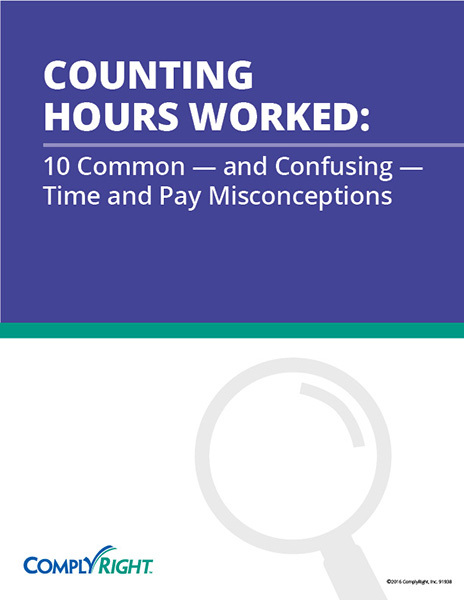 If you’re paid every two weeks and the average of your two weeks doesn’t go over 40 hours per week, it doesn’t matter, overtime is still owed for the workweek in which the employee works over 40 hours. For example, in week 1, your employee only works 20 hours but in week 2, he works 50. When you average those together that’s only 35 a week. You might not think that he’s entitled to overtime, but under the FLSA rules, any time they work over 40 hours in a workweek, you would have to pay him the 10 hours of overtime for the second week. Again, make sure you check your state and local laws because California considers their overtime eight hours in a day to qualify; it’s not even per week. So this might be for part time employees because sometimes they work 30 hours and maybe they do that in three days, 10 hours a day. Q. I thought under the new rules I had to raise my employee salary to the threshold of $47,476 a year. Is this not true? A. It depends. Raising your employee salary just to meet a minimum threshold is not necessary right now because of the overtime rules being on hold. You can give them the raise, but you don’t need to at this point. Remember they must still meet a duties test to meet an exemption, so if they don’t then the salary is irrelevant anyway. Q. I’m a small business owner with very tight margins due to a heavy competition. What are my options if I can’t raise someone’s salary to meet the minimum threshold if it goes above the $455 a week, but I can’t afford to pay them overtime either? A. 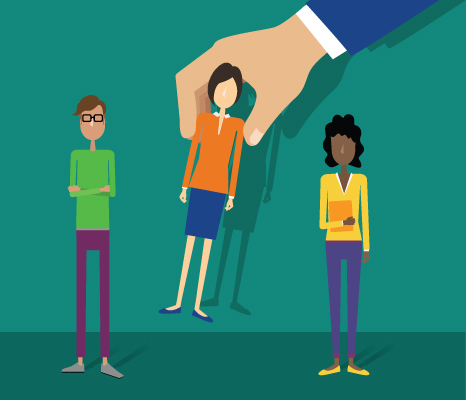 First look to see if your employee can even meet a duties test. If he or she does not then you have to classify them as non-exempt anyway. Another thing to consider is how many hours over 40 he or she actually works; whether its 5 or 10 hours over every week, just once in awhile or hardly ever. Look at what it would cost them to pay overtime compared to what it would cost them if you needed to raise their salary to meet a threshold. At this point you can’t make a solid determination until you know for sure what that threshold will be, but you can play around with some numbers to see where the line is and if it becomes more cost effective to bump up their salary. If someone doesn’t quite meet the duties test, then the salary threshold really doesn’t mean anything. However, if you find it more financially ideal to keep them exempt because they work a lot of overtime, if they don’t meet that duties test you could add some job duties to their work to help them meet that job duties test. If you can’t, you can say, for example, that they can’t work any overtime and that would help keep those overtime costs down. In this case if you do prohibit overtime, you have to manage that diligently and make sure you have a policy in place that prevents the overtime, but even that is not enough. If the employee does work overtime, he or she must be paid for that time, even if it’s authorized or not. If an employee works overtime when they’re not supposed to, you want to handle that as more of a disciplinary issue as opposed to a pay issue. If you do have those unique situations where you need more hands on deck, you can consider hiring temporary workers or part time workers if that’s a practical option for your business. Q. Is there a difference in the salary requirement for part-time exempt employees and full time employees? A. No. Regardless of whether your employees work 3 days or 5 days, 20 or 40 hours, if you want to classify them as exempt they still have to meet the same salary threshold, whatever that is. Whether that’s the $455 a week or the $913 or something in between, it doesn’t matter. If you want them to be exempt, they have to meet that threshold. Q. What is the highly compensated employee salary threshold? A. This is an exemption where the salary threshold is at $100,000 because the new rule is blocked. If the new rule were to go into effect as its written and how it was intended to, it would go over $134,000. There is still a duties test for the highly compensated employee as well, so it’s not as simple as just paying someone a very high salary. Q. It wasn’t mentioned if the court blocked the ability to use bonuses as part of the salary to reach a threshold. Could a company or business do make up payments if those bonuses doesn’t actually push up that employee to the threshold? A. The judge didn’t mention the availability of the bonuses or what he thought about that in his ruling. The ruling seems to have blocked the entire new rule from going into effect. If you’ve implemented changes into the new rule as planned and you made use of the bonus allowance, then you shouldn’t rely on the bonus to meet the salary threshold at this point because that option does seem to be off the table for now. If you did implement the changes by increasing your employees pay anyway to meet the new salary threshold, you could only use 10% of that salary requirement to meet the salary threshold. In this case it would only be $91.30 that you could use in bonuses anyway. If you weren’t meeting that salary threshold of $913 a week then you’re already paying your employees at least $821.70, which is well above what you have to pay them currently, which is the $455 a week. Q. What should I do going forward with new hires? If I want them to be exempt, what minimum salary should I hire them at? A. When you’re hiring for this position, you want to look at the job description that you’re making for this position. You want to make sure that it can be an exempt position anyway, and the job will meet a duties test for the exemption. When you’re creating the position, make sure the job description actually match the job duties you expect them to do. If this is a position you’re rehiring for, ensure the job duties are updated and correct. As far as salary goes, if you want to be conservative, build a job that has duties that can sustain the $47,476 salary threshold. There’s still a remote chance that number will be in play or gradually increased to that point. If you don’t want to keep giving this employee incremental wage increases, then you may even want to consider an even higher salary. You’re starting from scratch here, so if you don’t want to have to keep raising the salary, just make a position that’s going to be able to sustain a higher salary. Or, you can always go lower, but risk having to increase them gradually or giving them a huge increase all at once. Q. The Department of Labor page says that non-exempt employees do not have to punch in and punch out. You said they do need to keep accurate records of their time. Which one is correct? A. What the Department of Labor requires is that you have an accurate record of the total hours that the employee works. It is the employer’s burden to keep time records, but how will you do that? You might not know when your employees are coming in and out so the best way to keep track of that is to have them clock in and out. You can do that with a manual-punch clock, with software that logs them in and logs them out, or you can have a piece of paper for them to write down how many hours they worked for the day. It’s not ideal or necessarily best practice to do it that way, but you just have to have the total hours they worked for that day and that week. It’s always best practice to have employees sign off on their time sheets as well. Q. I’ve read that the courts won’t rule on the Department of Labor’s appeal until at least March, well after the new administration is in place. Do you believe this is accurate? A. Yes. My understanding is that the Department of Labor has requested that the appeal be expedited, for it to be sped up from the normal timeframes. Even at its own request, the Department of Labor is requesting that the hearing for the appeal take place in February. Typically rulings are not made on the spot at the time of hearings; they usually come several weeks and even several months later. March is a fair assessment. Q. How can overtime go back 2-3 years when the ruling hasn’t yet taken place? A. The 2-3 years being referred to is back wages that your employer can be on the hook if your employee files that lawsuit. Remember the rule is in effect. It’s just the new rule where the increase of the salary threshold $913 that has been blocked. The two and possibly three years have been in place for years, statute of limitations, meaning how long you have to sue. That’s why they can go back those years even though the new rule hasn’t taken place. The rule is in place – the new portion of the rule is currently not in place. If you have misclassified your employees or they’re making less than $455 and they’re not being paid overtime, they can go back and receive wages for up to three years. Q. If I didn’t implement any changes based on the new rule and the court removed the block, can I be on the hook for overtime from the effective date of December 1? A. Its unlikely that would be the case. A lot of conservative law firms out there are advising their employers to at a minimum keep time records so you can limit the exposure. If that rule would become effective retroactively December 1, you can gage how much overtime your employees are working. If it does become retroactive, your employee could try to say they were working ten hours of overtime when they were really working five. At least you’ll have records of that so you can prove they were only working five. I think it would be very unlikely that the court would do this, especially because what it does is penalize those employers when they’ve been left in the state of limbo. If they do become effective, you should get some time to put that into place, but you never know what the courts will do.